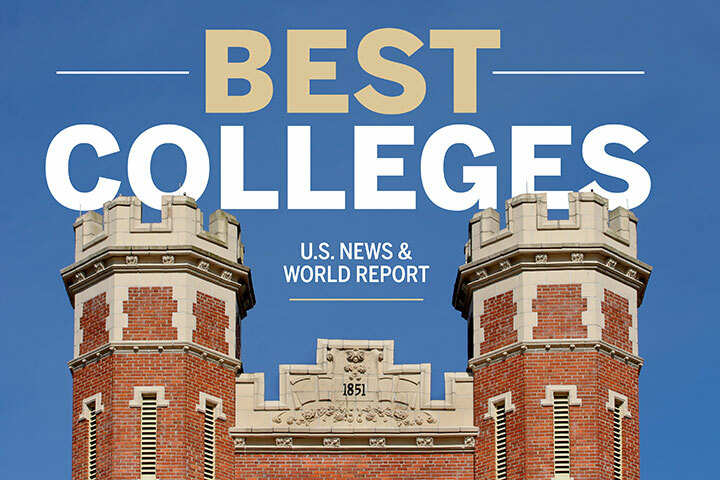 Florida State University moved up five places in the U.S. News & World Report rankings to No. 38 among all public national universities. FSU had the greatest gain of all of the Top 50 public universities. The rankings appear in U.S. News & World Report’s “Best Colleges 2017” guidebook. Last year, FSU ranked No. 43 among public universities. Florida State’s excellent graduation and student retention rates are key to FSU’s ranking among the nation’s best public universities. With a 79 percent graduation rate, Florida State well exceeded a prediction by U.S. News that FSU’s graduation rate would be 70 percent. Only three public institutions in the Top 100 exceeded their predicted rate by a greater degree than FSU.